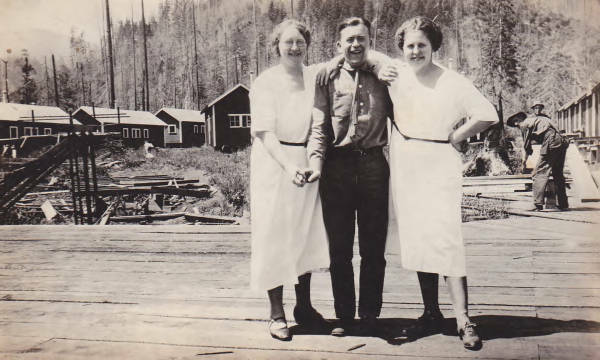 A man and two women, one on each side of the man, who have their arms over his shoulders are standing on a wood platform posing for the photographer. A logging camp can be seen in the background along with a couple of men who are working but stopped to look toward the camera. The man is wearing a tie and clothes not suitable for working in the woods. The women are in white or light colored dresses.